The international super group, Il Divo, will include South Africa as part of their worldwide concert tour to celebrate their 15th anniversary in November. South Africa is the only country in Africa where this popular group will perform and concerts will be held in Pretoria and Cape Town. 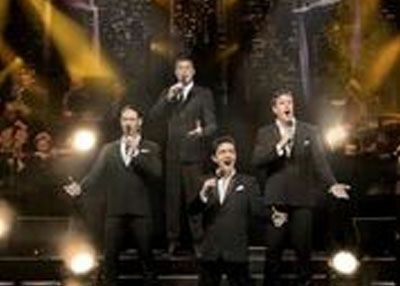 Il Divo – which consists of Urs Buhler, Sebastien Izambard, Carlos Marin and David Miller – became world famous in 2003, after Simon Cowell of the popular reality talent show, X Factor, sought after four unique singers to bring a fresh sound to the world stage. The guest performers at their SA performances include young Dutch star and Holland`s Got Talent winner, Amira, Zolani Mahola – the lead singer of Freshlyground – as well as Tarryn Lamb of the soapie Suidooster and former member of the Blackbyrd group. Touch of Class, top-selling duo, will also enchant audiences with their biggest hits.